Submitted by Mason Hoberg on Oct. 19, 2017. Gigging with an acoustic guitar can be a headache if you don’t have an acoustic guitar pickup, and if you don’t get the best acoustic guitar pickup for you you’re never going to get the tone you want. So rather than go in blind, check out the recommendations below! 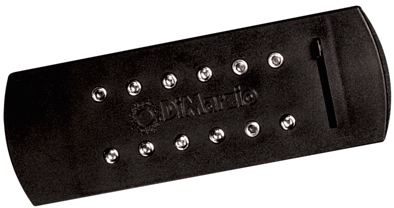 The DiMarzio DP138 Virtual Passive Acoustic Guitar Pickup is a modification-free pickup. The DP138 uses two foam inserts to mount the pickup inside of your soundhole, and you can even cut the inserts down if you’re trying to amplify a guitar with a smaller than average one. An interesting feature of the pickup is that it comes with a compensated volume control, which means that your tone loss will be minimized when you turn down the volume. This is really important if you’re playing in an ensemble, because it allows you to set your guitar to different volume based on the song you’re playing without having to rely on a soundman. The DP138 comes with 12 adjustable pole pieces. This gives you a lot of flexibility because you can dial in the sound of the pickup based on the genre you play. For example, say you’re a fingerstyle musician. You may want to raise the pole pieces above the bass strings to make your basslines more audible. If you’re mostly a strummer, the inverse may be true. Lastly, the DP138 comes with a 12-foot cable. The pickup isn’t intended to be permanently installed, so if that’s what you’re looking to do you’re either going to have to wire it to an output jack (which is a bit complicated if you’ve never done it before) or buy a different pickup. The DiMarzio DP136 Super Natural Plus Soundhole pickup is very similar to the DP138 above. The most obvious difference between the two is aesthetical, with the DP138 having a more industrial look when compared to the DP136’s natural and rugged one. Like the DP138, the DP136 has foam-lined mounting brackets (which can be cut down to accommodate instruments with smaller soundholes) and a 12-foot cord. Beyond that, the DP136 is also EQ’d a bit differently. The pickup is more focused, with a tighter bass and a greater high-mid and treble presence. Whether or not this is a good thing is going to depend on what you’re looking for. The tone of the pickup might be a bit too bright for a full solo performance, but this is largely a matter of how you EQ your instrument. However, this pickup would most likely do a great job of cutting through a mix if you were playing in a band. The K&K Pure Mini Passive pickup is a transducer. What this means is that it picks up the vibrations of the body of your instrument rather than its strings, which results in a more natural and open tone. It’s great if you’re serious about getting a genuine acoustic tone, rather than the more processed sound of a piezo or soundhole pickup. With that being said, there are a few compromises with transducer pickups. They aren’t as resistant to feedback as a soundhole or piezo pickup, which can make it more difficult to play at louder volumes. You also have to permanently install many of them, so if you’re not confident in your ability to do so you’re going to have to also invest in getting a luthier to do it on your behalf. The best thing about this pickup in particular is that it has a boosted output. Passive pickups generally require a preamp or more EQing from the mixing console in order to sound their best, but because the K&K Mini has a higher than average output you don’t really have to worry about low volume or a weak tone. L.R. Baggs is a premier manufacturer of pickups for acoustic instruments, with their pickups being the stock option on many of Gibson's guitars. The company’s pickups are used in a wide array of genres, with notable endorsees including: Cage the Elephant, Ricky Skaggs, Sierra Hull, Brad Paisley, and The Old Crow Medicine Show. 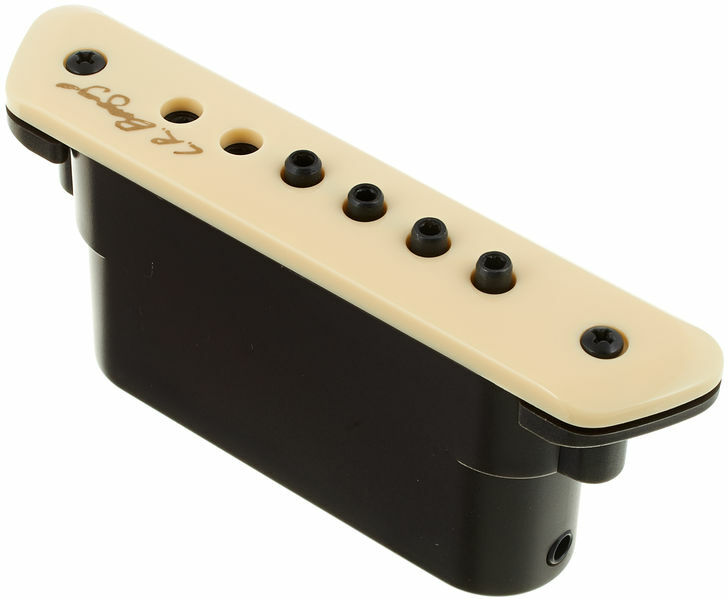 While the LR Baggs M1 Passive is a soundhole pickup, it has a unique performance. The specifics are kind of hazy, but the general gist is that it senses both the vibration of the strings as well as the vibration of the body. You can almost think of the pickup as a combination of a transducer and a soundhole pickup. It also comes with adjustable pole pieces, which allow you to dial in the response of your pickup based on your playing style. There isn’t really a downside to this pickup, but know that it does still have a slightly metallic response. In some cases this can be a good thing, because it can help you cut through a mix. However, if you’re looking for a really traditional acoustic tone you’d most likely be happier with a transducer. 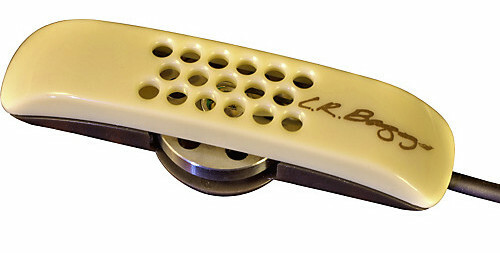 The LR Baggs iBeam is a transducer pickup that attaches to the bridge plate of your guitar (where you poke your strings into). It sits directly in front of the ball end of the strings (towards the tuning pegs). Because of this, there are a few guitars that it won’t fit into. But so long as you play a relatively standard guitar (full-sized, mass produced), you’ll be fine. With that out of the way, the LR Baggs iBeam is one of the more interesting transducer pickups available. It’s designed with the intent of mimicking the response of a microphone. A quote from the website sums this up pretty well: “A key advantage over typical bridge plate sensors is the iBeam’s ‘cardioid’ like response pattern that inhibits feedback and string squeak while selectively admitting rich tone producing vibrations.” Cutting through the jargon, what they’re saying is that the design limits feedback while increasing the overall frequency response. So if the tone of the M1 is like the combination of a transducer and a soundhole pickup, think of the tone of the iBeam active as the combination of a transducer and a microphone. The pickup also comes with a soundhole mounted volume control, though it does lack a tone control. Fishman is the premier name in acoustic guitar amplification. There’s a reason why they’re products are the pickups of choice for a ton of guitar manufacturers. They’re affordable, versatile, and they sound good. The Matrix is Fishman’s flagship series. It features a redesigned preamp (which is located in the endpin), controls for volume and tone, a low-battery indicator, and a voicing switch. The voicing switch in particular is an interesting feature, and by itself makes this pickup standout amongst others in its class. The basic idea with the voicing switch is that you can use it to cut certain frequencies which replicates different body shapes. It’s great if you’re looking to dial in a close approximation of your unplugged tone, because you can use it to roll off frequencies your guitar doesn’t naturally boost. For example, say you have a parlor guitar. You switch the voicing switch to get a brighter tone, giving you the more mid and treble heavy tone your accustomed to. Lastly, the Fishman Matrix Infinity’s tone control is a bit different than you’d first assume. Rather than cutting bass and boosting treble, the tone control actually boosts mids in one position and in the other boosts treble and bass. The LR Baggs M1A is the active version of LR Baggs’s M1. Because of this, the majority of what was stated there is applicable here as well. To go ahead and reiterate, the M1 series is a soundhole pickup which combines the tone you generally expect to get from a soundhole pickup and a transducer. It definitely still has a portion of the more metallic attack you’d expect from a soundhole pickup, but it does reproduce more of your unplugged tone than many other pickups of this type. However, unlike the M1, this pickup is also active. The cool thing about this is that it essentially makes the M1A a play-and-plug unit. You’re never going to have to worry about not getting a good tone because of any issues with the unit itself. However, there are a few reports that the M1A doesn’t have as much of an acoustic response as the passive M1. However, this is largely a matter of personal opinion. However, it is something to be aware of if you’re having a hard time choosing between this pickup and the M1. Though Seymour Duncan isn’t really known for their acoustic guitar pickups, the brand puts out some really great pieces of equipment. 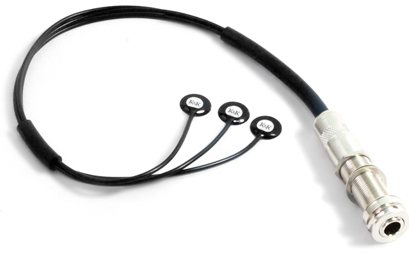 Case in point: the Seymour Duncan SA-6 Mag Mic Active Acoustic Guitar Pickup. The SA-6 combines a soundhole pickup with a condenser microphone, and allows you to blend between them through the use of an onboard blend control. This combination offers a ton of versatility, making the pickup a great fit for everything from a coffee shop’s open mic to a full performance. At lower volumes, you can use the mic exclusively to get a great representation of your guitar’s unplugged tone. Likewise, if you’re playing at higher volumes you can blend out the microphone as much as you need to in order to reduce feedback. The SA-6 also comes with adjustable pole pieces, which allow you to adjust the volume of each string based on your playing style. This is great if you’re a fingerstyle musician especially, because by using these you can pump up the volume for different strings as needed based on what arrangements you’re playing. 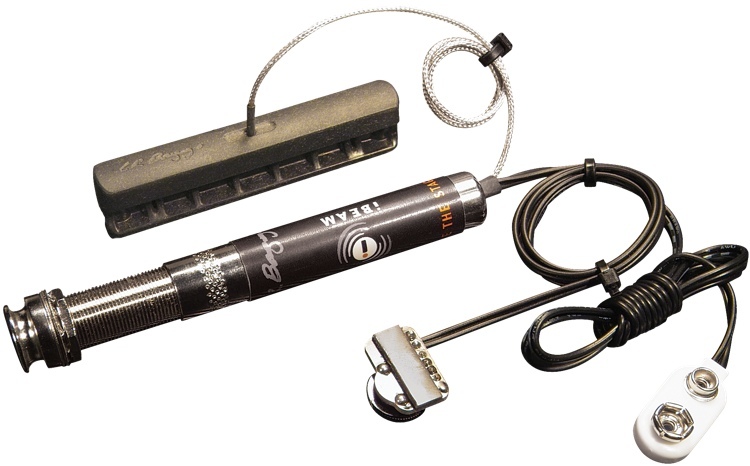 As you’d assume from the name, the LR Baggs Anthem SL Microphone & Active Acoustic Guitar pickup combines a pickup and a microphone. The cool thing about this combination is that it really does give you the best of both worlds. You get the reliability of an acoustic guitar pickup and the versatility of a microphone. The Anthem system is mounted to the underside of your bridge plate, and the mic is on the underside of the pickup. Like other mixed pickup systems you can blend between the microphone and the pickup, giving you a huge variety of different tones. Uniquely, you can also adjust the volume of the microphone relative to that of the pickup. When you use this control in conjunction with the blend control you have a lot of control in how these two elements work with each other. It doesn’t necessarily make the unit sound better, but if you’re particular about your tone the added control this pickup has definitely makes it worth a look. 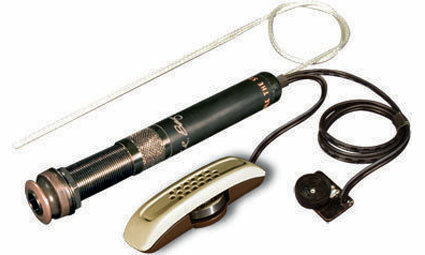 The LR Baggs Anthem Tru-Mic Microphone/Piezo pickup is the piezo-equipped version of the Anthem SL. The system still features an in-guitar microphone, so a lot of the same things apply here that applied with the SL. The only thing that really separates the two units is that because this unit uses a piezo it has the potential to sound more artificial, though this is going to depend on the settings used. When you use the blend control to blend out the microphone, you’re still going to get that bright piezo tone. This really isn’t a bad thing, and can actually be a plus if you’re playing in a band, or want to do so at some point. As a basic rule, the brighter your instrument is (when we say bright we mean treble frequencies, so a brighter tone has a higher representation of treble frequencies) the better it will be heard in a band. Beyond that, these two units are basically the same. The main thing to keep in mind is that you’re going to get a better acoustic tone with the Anthem SL (which is the one that has a transducer pickup) than you will with the Tru-Mic Microphone/Piezo, though this also means your instrument will be more sensitive to feedback. Figuring out which pickup is going to work best for you requires that you know a few key pieces of information. If you feel like you don’t know enough about acoustic guitar pickups to make an informed decision, or you just want to brush up on your knowledge before you pull the trigger, check out the sections below. There are four main types of acoustic guitar pickup, all of which are explained below. Piezo pickups are placed under your bridge. They’re essentially crystals that convert the vibration of your strings into a signal. These pickups are generally inexpensive, and while they don’t produce the most natural tone they don’t sound bad. They’re also very bright, which is a plus if you’re playing in a band because they’re great at cutting through a mix. The main benefit of piezo pickups is that they’re the least likely to feedback, so if you’re looking to perform regularly they’re worth a look. Though, keep in mind that this type of pickup does require that you modify your guitar. Soundhole pickups are basically electric guitar pickups mounted on an acoustic guitar. These pickups have a very clear and balanced sound, though they do have a tendency to sound a bit sterile. However, higher-end soundhole pickups compensate for this in different ways. Many combine a standard magnetic pickup with something akin to a transducer, creating a great combination of clarity and warmth. This type of pickup is more resistant to feedback than transducers and microphones, though they’ll still feedback more easily than a piezo pickup. Transducer pickups, also known as contact pickups, are the most natural sounding pickup. They convert the vibrations of the top of your guitar into a signal, so they capture more of your acoustic tone. However, they’re also the most prone to feedback. This can make it hard to use these pickups at larger venues, especially if you’re playing in a band. Microphones obviously aren’t pickups, but many companies have units that combine one of the pickups above with a small microphone. The cool thing about this is that you can blend between the two different sounds. At lower volumes you can dial in more mic, which will give you a more natural tone. Likewise, if you’re playing at higher volumes you can dial in more pickup so that your guitar won’t feedback as easily. The only downside of a blended systems is that they’re significantly more expensive than any of the options above. However, they also offer more flexibility and a better sound quality. The very first thing you want to consider before you purchase a pickup is whether you’re willing to modify your guitar to install it (and have the means to do so). There are pickups that require modification in order to install, which you may not want to do if you have a guitar with sentimental value. Piezo pickups always require modification because of how they’re designed, and most soundboard transducers do as well. Soundhole pickups, with the L.R. Baggs being a notable example, generally don’t require modification because you can simply drape the cord out of the soundhole. With that being said, many of these pickups allow you to do both. Feedback is a loop of sound caused by resonance. A frequency goes through an amplifier, the resulting tone is then captured by your pickup, then it’s amplified further. This goes on until the initial frequency is the only thing coming out of your speakers, and is really unpleasant to listen to. Acoustic guitar pickups are very sensitive to feedback, though this varies based on the type of pickup. As a basic rule, the more your pickup “hears” the more sensitive it is. So, for example, a pickup with a built-in microphone is going to be more sensitive to feedback than a piezo. The more frequencies “heard” by a pickup the higher likelihood of feedback, so the pickups that most accurately reproduce your acoustic tone are generally more likely to cause feedback. Here’s a table that shows a rough estimate of feedback risk for each type of pickup. When you’re shopping for an acoustic guitar pickup you’re going to hear the terms “active” and “passive’ thrown around a lot. The difference between the two basically boils down to the fact that one is externally powered (almost always by a battery) to boost the signal and one is not. Active pickups are the former, passive pickups are the latter. The cool thing about active pickups is that you’re basically good to plug into any P.A. or acoustic guitar amp around. Because passive pickups don’t have the boost that active pickups do the signal is weak, which results in a squashed tone and a very quiet output. Most P.A.’s and acoustic amps can compensate for this, but there are going to be cases where you need to get a D.I. box to get a strong enough tone. The only drawback to active pickups is that they usually don’t function without a battery. Thankfully, it’s really easy to compensate for this. All you really need to do is make sure that you always carry a spare battery. Nylons string players usually fall into two camps, classical/flamenco musicians who are looking for a really natural tone and people who just prefer the feel/response of a nylon over that of a steel string. If you’re really dedicated to getting a natural tone, you’re going to be happiest with an in-guitar microphone or a microphone and pickup combo. If you’re not as particular about your tone, your best bet is going to be either a transducer or a piezo. 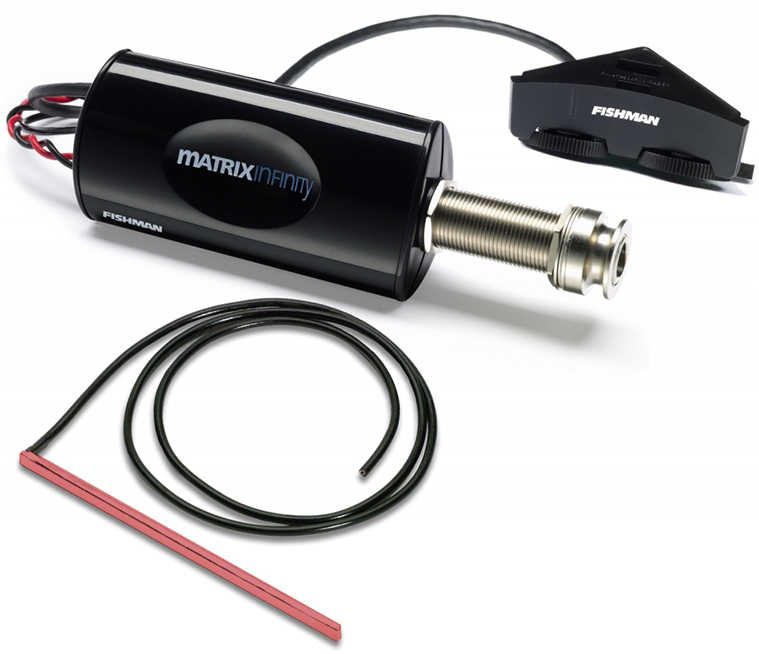 Transducer pickups will sound more natural, but are a bit more expensive. 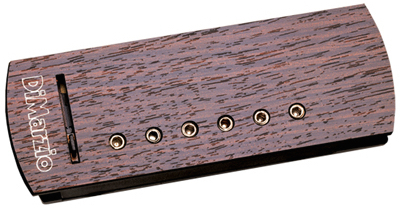 Piezo pickups are cheaper, and while they won’t sound quite as natural as a transducer you can still get a good tone. The only pickup type that really wouldn’t work well with a nylon string guitar is a soundhole pickup. Because nylon isn’t magnetic you’re not going to get any output on the treble strings, which makes this type of pickup basically useless for nylon string instruments. 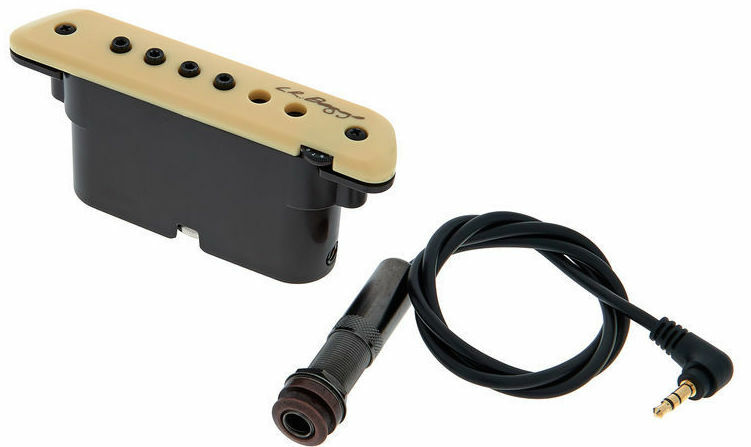 We began by looking at all the acoustic pickup systems for guitar available from major online American music gear retailers, then narrowed that list down to a short-list of 26 - you can see them in the Music Gear Database. We then collected ratings and feedback about each on on the short-list from online retailers, discussion forums, review sites and major music gear publications - more than 2,800 sources were analyzed during this process. We fed those data into the Gearank Algorithm to produce scores out of 100 and selected the highest rated active and passive options to recommend above. For more information about this process please see How Gearank Works. Submitted by jivetw (not verified) on Dec. 4, 2017. Hello: You might mention and evaluate the time it takes to change batteries. The MIA is very time consuming and will ruin your gig. The Ibeam active is quick with a pair of needle nose pliers. Submitted by Moonrocket (not verified) on Aug. 21, 2018. Your reviews are way off base. The absolute best acoustic guitar pickup is the Sunrise. None of the pickups you list come close and I know that for a fact because I’ve had every single one. The Sunrise is positively the best acoustic guitar pickup that out performs, sounds worlds better that any of the other pickups especially the LR Baggs when are quite frankly not good. Submitted by Jason Horton on Aug. 21, 2018. Thanks for sharing your opinion. I've heard good things about these handmade pickups but they're only made in relatively small numbers and aren't widely available so they didn't meet our eligibility criteria. Submitted by Mark Young (not verified) on Sep. 7, 2018. I'm looking for a review of pickups with on-board preamp / EQ / volume adjustment for gigs.